SDC’S Construction Spec Platform (Brick Trailer) is designed with a heavy duty chassis which is ideal for carrying cranes or for crane operations. The structural integrity of the chassis is designed to cope with the stresses induced by crane operation. It is extremely robust with an optional strength to weight ratio. With heavy duty deck-ring options for maximum durability and load security. 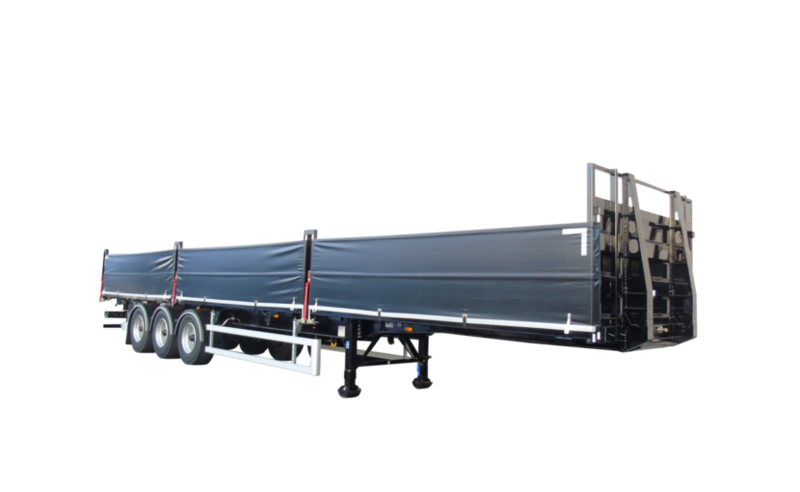 This trailer has been designed to carry various different cranes including mid mounted cranes, front mounted cranes, roll along cranes and rear mounted cranes. The bespoke brick trailers are design to fit your crane of choice. Our EN XL rated platform headboard has been independently assessed to confirm the structural strength for heavy duty applications. This is approved to EU standards. The platform has been fitted with a Fall Arrest System for the health and safety purposes of the operator. SDC fit a range of drop-sides including steel, steel mesh, curtain, curtain mesh and alloy plank to suit your requirements. Pins and Sockets are a form of load restraint ensuring safety of goods during transport.